In this, the age of "if you didn't Instastory a photo of yourself wearing a glycolic face mask, it didn't happen, " more and more women are game to experiment with lots of products—to their detriment.
" I've had patients exfoliate to the point where I can see their blood vessels," says New York City dermatologist Dendy Engelman , M.D. While products like granular scrubs and clay masks have always been known to aggravate sensitive skin, a new generation of more potent at-home treatments (cosmetic-grade chemical peels, personal lasers) is ratcheting up the assault. If you're prone to sensitivity, New York City dermatologist Neil Sadick , M.D., says to avoid physical scrubs (which can lead to tears in delicate skin) and instead use a chemical exfoliant (these rely on enzymes or acids)—and no more than once a week. Your skin's barrier is all-important: It's the shield that prevents irritants like makeup and dirt from getting beneath the surface and causing major drama. 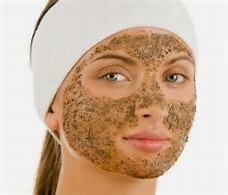 Overusing exfoliants chips away at this structure—which already loses strength naturally as you get older. Once a day, put on a treatment "made with ingredients like ceramides, cholesterol, and fatty acids, which fortify the barrier and fill in cracks that could allow irritants to slip in and cause trouble," says Engelman.